Tag Archive | "bank of america"
Bank of America has agreed to pay $8.5 billion to resolve claims that the financial and insurance company sold mortgage-backed securities that are of low-quality before the collapse of the housing market. The deal came after a group of investors insisted that the North Carolina-based company repurchase $47 billion worth of mortgages that the Countrywide unit sold in bonds. The agreement between parties was announced Wednesday morning. The investors argued that Countrywide, which was bought by Bank of America for $4 billion in 2008, expanded itself at the investor’s price by servicing bad loans and continuing servicing fees. Bank of America has denied such allegations. The mortgage settlement would reduce future uncertainty in the banking industry and resolve the issues caused by their acquisition of Countrywide, said Brian Moynihan, chief executive officer of Bank of America, on Wednesday. The settlement, which covers 530 trusts with $424 billion principal balance, is subject to the approval of the court. According to Keith Horowitz, a Citi analyst, the settlement that is equivalent to only 2% of the original principal balance, eliminates one of the biggest risks of investors for Bank of America. Also, the settlement puts Bank of America to a second-quarter loss between $8.6 billion and $9.1 billion. The bank is expected to release a quarterly loss between $3.2 billion and $3.7 billion, not including the settlement and other charges. 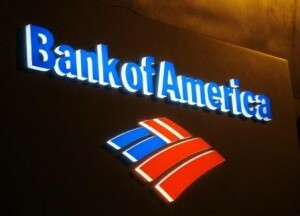 The Bank of America Corp had a 4 percent increase in shares to $11.30 before the market opened. The investors are glad that the bank can place huge uncertainty behind it. February is proving to be possibly one of the best months of 2011 for balance transfers. This is because Discover is offering two limited time promotions for the month of February. The first offer, which is a no balance transfer fee card, is 0% interest for 12 months on balance transfers and purchases. This is probably one of the best deal for consumers and many are taking advantage. Discover is also offering a 24-month interest free balance transfer. 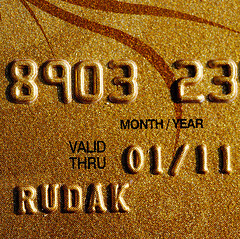 This card, however, requires a 5% balance transfer fee. This may be the best option for consumers who will require more time to pay off their balances. Consumers can get 0% interest for 18 months with a 3% balance transfer fee by using the Cit Platinum Select Card. Many credit card companies, including Bank of America, are making competition fierce. However, Discover’s two limited time offers, which expire in February, are the main reason the balance transfer market is so strong for the month of February. If you were to take the offers from Discover and Citibank out of the equation, you would see that the overall market for balance transfers is surprisingly weak. This is because the average balance transfer deal is only 9 months long which doesn’t give consumers the confidence that they can pay their balances within that time frame. The Chase Slate credit card offers great balance transfer terms, up to 18 months. However, consumers with less than perfect credit may only be offered 6 months to pay their balances. Those with perfect credit can expect the appealing 18 month terms. Other banks such as Bank of America, Wells Fargo and U.S. Bank also offer balance transfer deals. However, these are usually unpopular due to the short terms, some lasting only 9 months to pay balance transfers. Transfer fees are also relatively high for these banks making these offers less appealing to consumers. Banks repossessed a record of 2.87 million homes in US throughout the year 2010 as the two year-old mortgage crisis continued to be a burden in the economy, according to foreclosure specialist RealtyTrac. 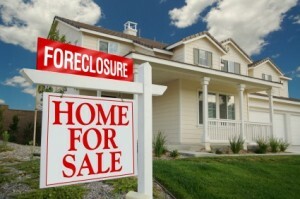 Foreclosures reached 2.23 percent of all housing in the country, which is equivalent to one out of 45 homes. This increased from 2.21 percent in 2009, the RealtyTrac stated in its report for 2010. However, the rate of foreclosures smoothened in the fourth quarter when banks received rising legal challenges form the owners who got mad because banks took their homes under a haphazard process. The report showed that December’s 257,747 foreclosure filing were 26 percent lower than the number of foreclosures during the earlier period of the year, and were two percent low from month to month. RealtyTrac chief executive James Saccacio said in a statement that the total properties receiving foreclosure filings would have simply surpassed three million in 2010 if it was not for a fourth quarter drop in foreclosure activity. However, Saccacio predicted that the estimated 250,000 foreclosures halted during the fourth quarter would be reopened in early 2011. Foreclosure rates have increased in three states namely, Arizona, Florida, and Nevada. These were the three Sunbelts states that had wide real estate overbuilding and speculative investment during the property boom in 2002-2007. In Arizona, foreclosures reached 5.7 percent of all homes while Florida reached 5.5 percent. In Nevada, one in 11 homes or 9 percent of all homes was hit with a foreclosure filing last year. 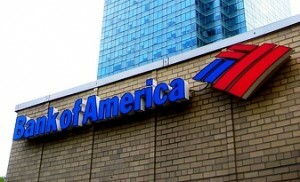 Arizona and Nevada filed lawsuits against Bank of America denouncing it of deceiving cash-strapped homeowners in the middle of the global economic downturn.